Welcome back, my friends! I hope that you had a lovely weekend. Thankfully the rain held off on Saturday for most of the day, and I went on another shopping trip with my mom. While most of what I bought was stuff for myself for a change, I got a few more things to fix up for my sale over the summer. You'll be seeing it all soon. 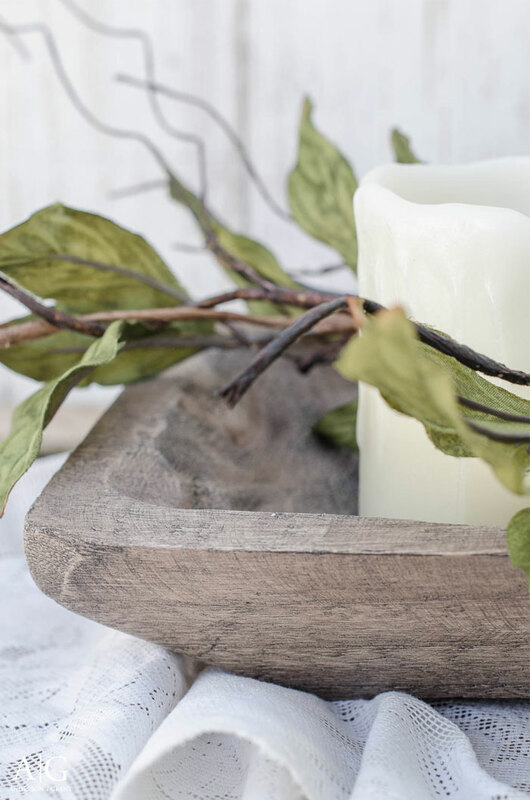 But today, I wanted to share a great technique for transforming anything that is natural, bare wood into something that looks like actual rustic, aged wood with patina. 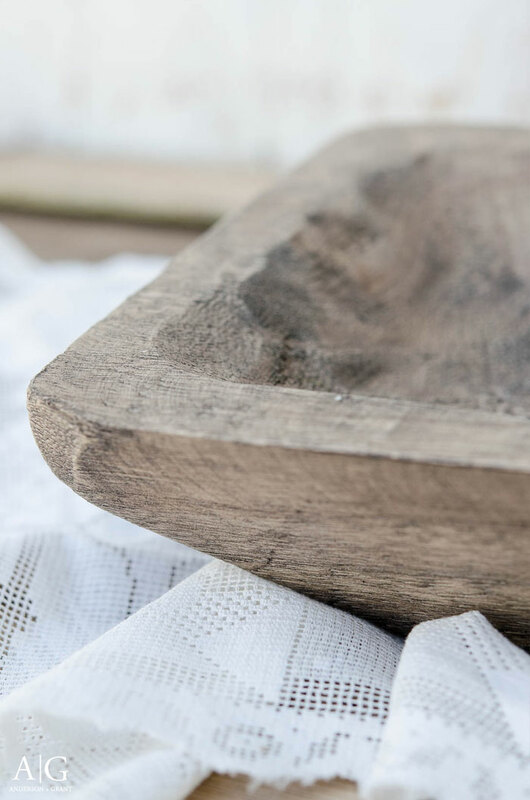 Some farmhouse style finds that I shared with you a couple weeks ago included this bare wood dough bowl that I found at Hobby Lobby in the home decor section. 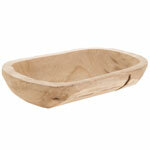 The shape and carved texture of the bowl were perfect, but the natural color wood wasn't really my style. 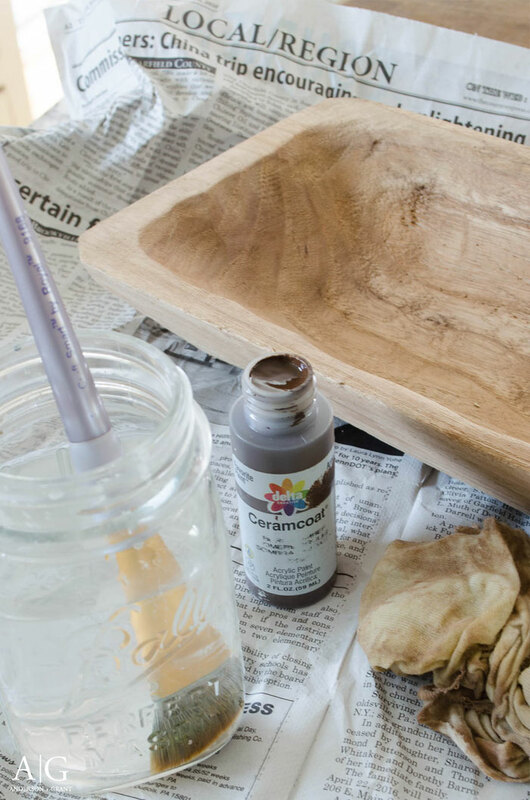 Staining isn't one of my favorite activities and I knew that the colors I had weren't going to give me the look of an old rustic dough bowl that had been around for many years. So, I decided to play around with some different techniques and see if I could find something that would give me the look of antique wood with patina. And it actually ended up being a pretty simple process I'm excited to share with you today. It is something that will work on any of those unpainted products you can find in the wood section of your local craft store. Can you believe the bowl started out looking like this? This bowl was already pretty rustic and had it's own marks to make it look beat up. 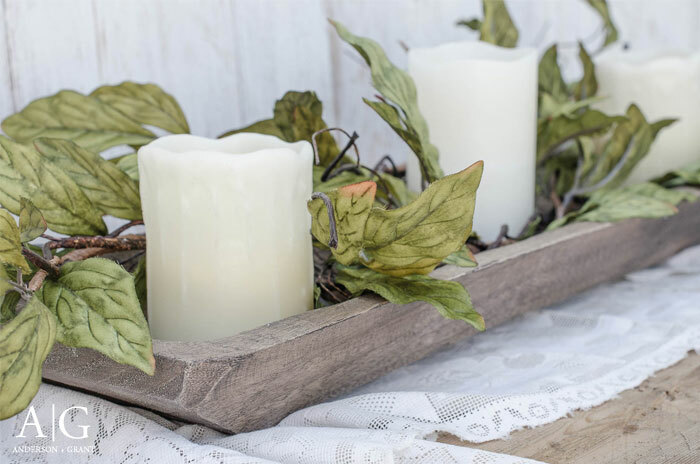 If you are trying to make a new clean and sanded wood item look old and rustic, you'll have to add a little of your own distressing. Beat spots with a hammer. Use an awl or Phillips head screwdriver to add some worm holes. Add wear around the edges where something would see the most abuse. Basically create the cuts and dings that any old piece would have seen after 100 years of use. To take the new look off of the bare wood, you'll need to first do a wash of a dark brown acrylic paint. (This was Burnt Umber from Delta Ceramcoat because that is what I had on hand.) 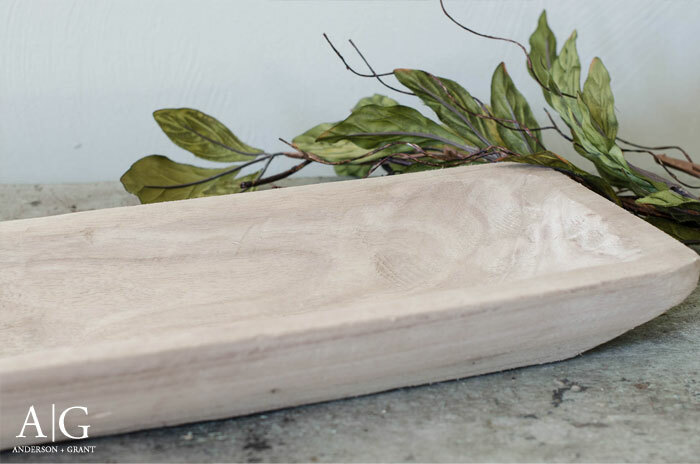 You can actually "paint" sections of the wood with just water on your brush, and then get a small amount of the paint on your brush and rub it in. Brush it a lot to smooth out the painted finish, and then follow up rubbing with a rag over everything to blend it together. You can see from the picture below that this wash doesn't look painted on, but did slightly alter the color of the wood. 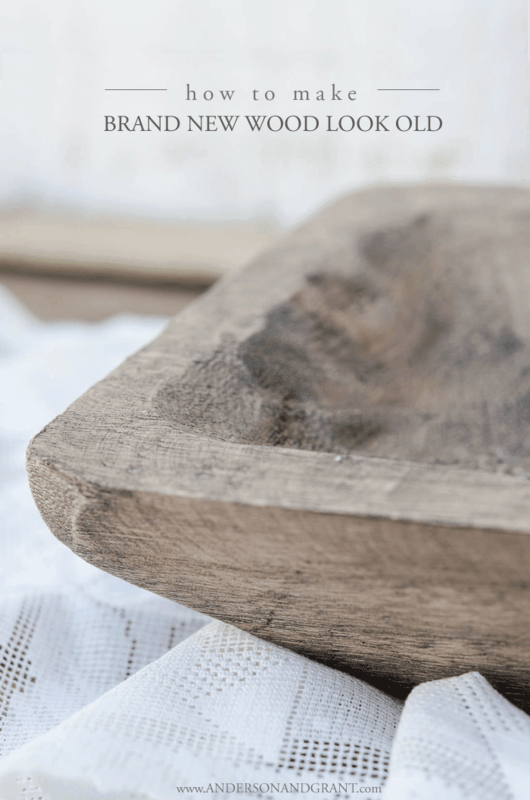 You don't want to cover up any of the natural grain under paint. The next step is where the real beauty and age happens. Coat the entire bowl with a thick coat of Miss Mustard Seed antiquing wax. 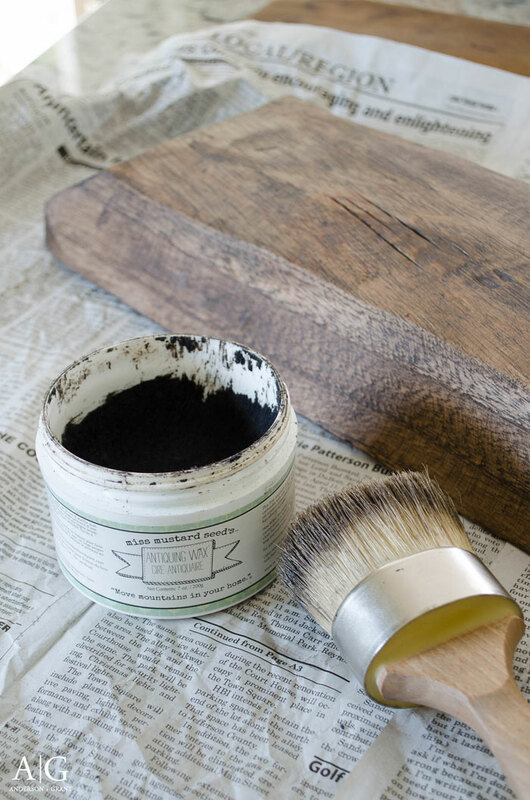 Using a wax brush will allow the wax to go deep down into the cracks and imperfections in the wood. As you can see, the dark wax really changed the color of the wood. What I found from experimenting beforehand was that there wasn't the variation in color when the wax was used by itself over the natural wood. But the little bit of wash with the paint allowed the wax to soak in more in some places and rest in the crevices more in others. It really allowed the wood to look like it had been gathering patina for years. 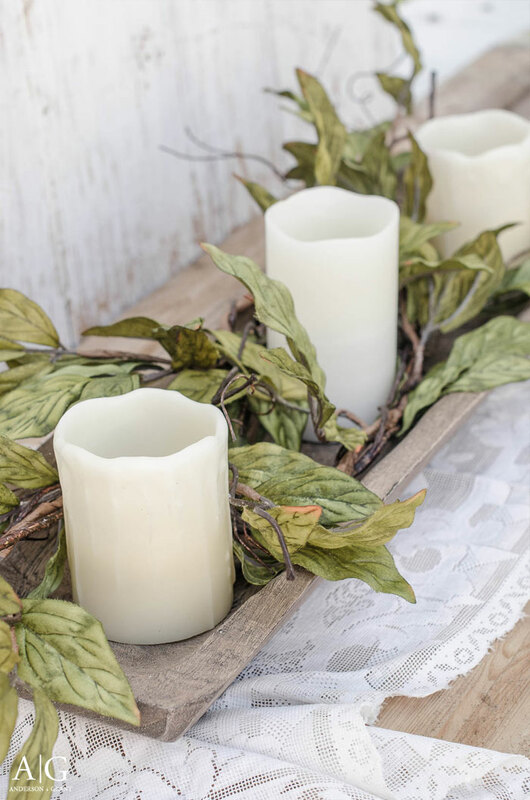 It did take awhile for the heavy coat of wax to dry so be sure that you're working in an area that your project can sit without being disturbed. After the wax was completely dry, I went back in and added a bit more in places like some of the most textured areas of the bowl and around the edges to give more variation in color. 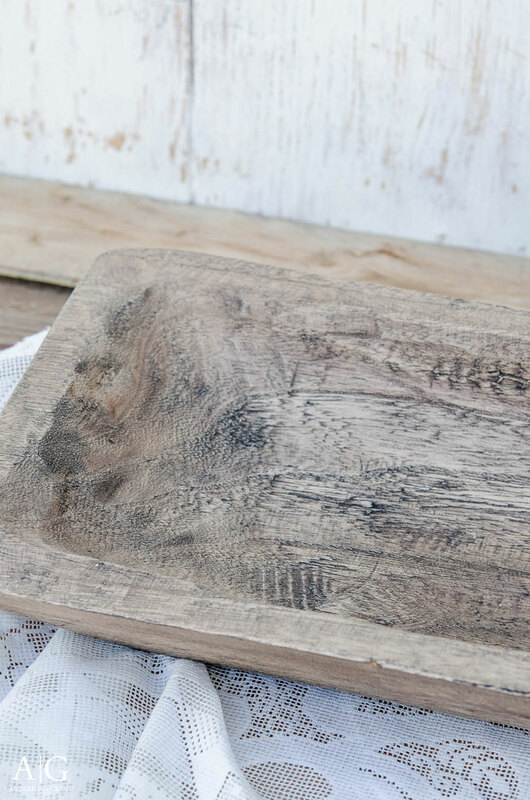 While this may not create a perfect replica of old aged wood, it does give you a more realistic finish than just wood stain. I couldn't have been more happy with how this finished bowl turned out. I've never been satisfied with the projects that I've done in the past that involved trying to make something out of new wood look old. This is the first time that I can honestly say that I've finally found the secret and best of all, it was actually easier and took less time than trying to get the wood stain to look old and worn. I'm really kicking myself for not bringing a few more of these bowls home with me to transform because it turned out so well (and makes a super cute centerpiece!). Hobby Lobby is over an hour and a half away and I can't find where the bowls are available online, so this will be it for me. Isn't it always the stuff that you don't buy that you most regret? **Now that I've typed this, the two other versions of the bowl are available online and are 50% right now....just in case you want one for yourself! (You can find them here.) I've got a package headed my way!